Men's Hair Cutting & Clippering, Mount Lawley, Perth. Those handsome devils in the picture above aren't us, but we did make them look that good. Conor, our fearless leader, has over a dozen years experience in trimming, fading, clipping and shaping men's hair. 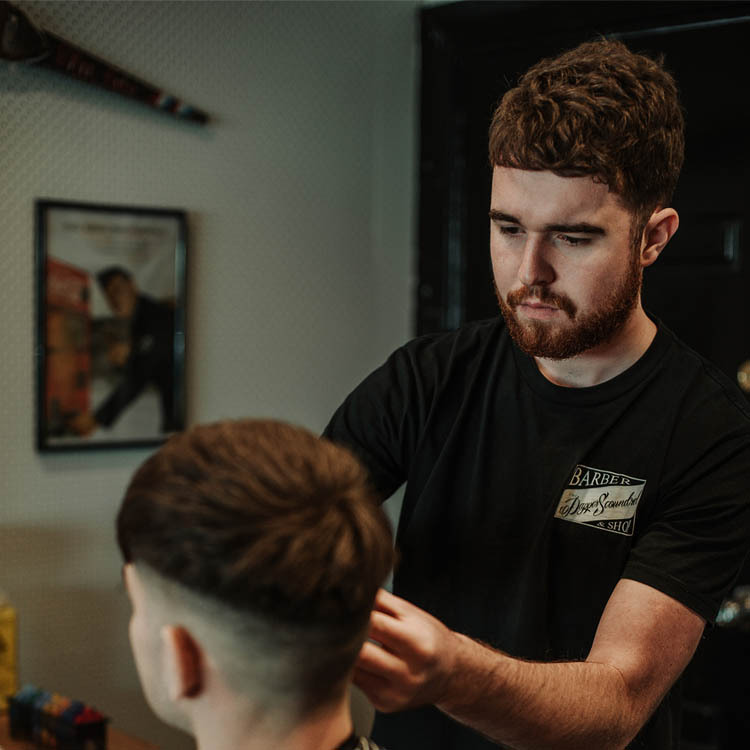 He learned his craft from the best in Dublin & London and has hand selected the finest barber's in Perth to give you the best possible haircuts and service. You'll find us cutting and styling the classic slicked back 50's look to the modern edgy faded crop and trimming up some beards while we're at it. Whatever style you're after, come in and we can talk about getting you looking awesome.